Home > Articles and Insights > The Rapson Rule and The End of "Sweetheart Sales"
What is a “sweetheart sale”? Imagine a collection manager whose duties include the resale of collateral repossessed from consumer debtors in default. After recovering a particularly clean little red convertible, our manager receives a visit from The Boss. It seems The Boss’s Princess Daughter has taken a shine to that sports car. The Boss appears in the manager’s office, checkbook in hand, ready to buy it on the spot and drive it home tonight. After first casually discussing the manager’s next performance review, The Boss mentions he has already looked up the car’s wholesale book price, including some arbitrary high-mileage deduction. He drops a check on the manager’s desk for, say, 75% of the remainder, and puts his hand out for the keys. As he sweeps out of the office, he graciously suggests the title paperwork can catch up with him later. That is a sweetheart sale. Unwilling to suggest to The Boss that a better price for the car should be available, our manager shrugs it off and calculates the artificially increased deficiency he’ll pursue from the borrower. Because too many such sweetheart sales by lenders to their own “insiders” have resulted in inappropriate high deficiency balances for debtors, when the UCC Permanent Editorial Board met to draft the 2001 amendments, member Donald J. Rapson championed the section that now bears his name. Rapson recognized that no collection manager interested in a successful career was ever likely to tell the Boss “No”. He also recognized that lender management, Board members, and even its rank-and-file employees would always have an interest in an “employee discount” on particularly choice collateral. Rapson also realized that the victim of such insider dealing is not really the lender – it’s the borrower. A car or other collateral sold for a sweetheart price to an insider means the borrower’s liability for the deficiency (i.e., the uncollected balance not satisfied by the proceeds of the collateral sale) is increased. In fact, it may be the borrower’s equity in the car that is sacrificed to please The Boss’s wallet. 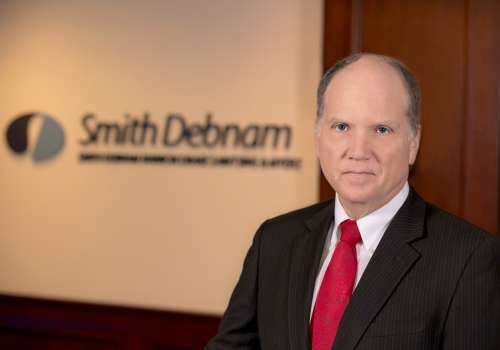 Since the cost of suing and collecting a larger deficiency judgment from a defaulting debtor is little different than pursuing a smaller one, there was essentially little risk to the lender from a sweetheart sale. The 2001 amendment wisely did not seek simply to forbid resale to “insiders.” Besides being inconsistent with a lender’s right to buy repossessed collateral itself (UCC S9-610(c)) and the lender’s limited right to accept collateral in outright satisfaction of a debt (UCC S9-620), such a bar would have been too easily evaded by “straw” sales to next-door neighbors. In fact, the Rapson Rule does not even forbid the lender from accepting as low a resale price as any Boss might hope or want. The approach adopted in the Rapson Rule is far more clever. Lenders remain free to resell any repossessed collateral at any price to any insider. The catch, however, is that the deficiency balance the borrower owes will be calculated not on any such sweetheart price, but “based on the amount of proceeds that would have been realized in a disposition to an [unrelated] transferee” (UCC 9-615(f).) Translation: you can sell the convertible to The Boss for 75% of wholesale if you want, but you must credit the borrower’s account for 100% of the retail price. The effect of the Rapson Rule is therefore to shift the cost of such insider discounts to the lender, sheltering the debtor from this practice. What happens if the lender should sell a repo to an insider but calculates the deficiency balance based on the low sweetheart price instead of the full retail price? The answer lies in UCC S9-625(c)(1) & (2), and is not pretty, especially in consumer loans. The penalty for such an action is the actual loss suffered by the debtor plus “an amount not less than the credit service charge plus 10% of the principal amount of the obligation [emphasis added].” This add-on equates to the sum of all the interest that was to be paid during the life of the loan, plus 10% of the amount borrowed. Practically speaking, the cost to an offending lender grows even larger, as the borrower’s liability for the deficiency balance also usually disappears in any later litigation, along with the lender’s entire profit and, at a minimum, its own legal fees. In addition to being aware of the significant financial exposure for failing to comply with the Rapson Rule, collection managers should also take note that they now have the perfect tool to deal with The Boss’s suggested sweetheart sale price. No longer is it necessary to say “No” to Bosses, Board members, or co-workers wanting an “insiders’ price”. Explaining to the bargain-hunting insider (and to management) that the debtor’s account must still be credited with the unquestionable full retail amount, will generally dissuade even the most determined bargain-hunter. Now the Boss is faced with a choice: explain to an auditor why the debtor account was credited with an amount greater than the amount of the check he wrote, pay full retail, or walk away. Specifically, the Rapson Rule is triggered “when the amount of proceeds of disposition is significantly below the range of proceeds that a complying disposition to a person other than the secured party, a person related to the secured party, or a secondary obligor would have brought” (UCC S9-615(f)(2).) While a lender might find solace in demonstrating the sweetheart price it took was within “the range of proceeds” it could have gotten from an arm’s length sale to an outsider, continuing to do business in ways recognized to attract scrutiny from the hostile eyes of disappointed debtors and skeptical juries seems short-sighted at best. Remember – lenders’ lawyers rarely work for free, and the legal costs of a successful defense in a Rapson Rule case can easily equal or exceed the potential statutory damages. The most complete remedy is really quite simple: a written policy of no resale to “insiders,” unless at full retail price. Without the financial incentive, interest in purchasing a repossessed item will likely disappear, along with exposure to litigation and related legal costs. After all, the only thing worse than paying full price is paying lawyers to fix the problem.